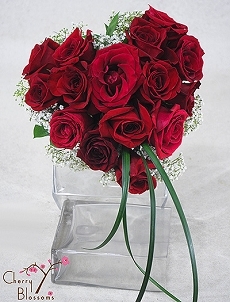 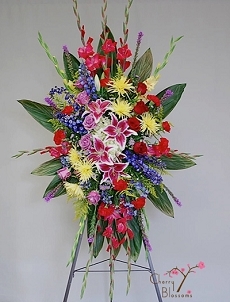 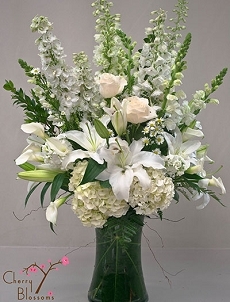 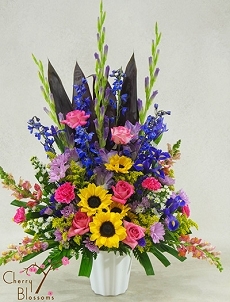 Here is a brief sampling of our customized funeral flowers; including samples of wreaths, upright sprays, container and basket arrangements, that we can make to express your remembrance. 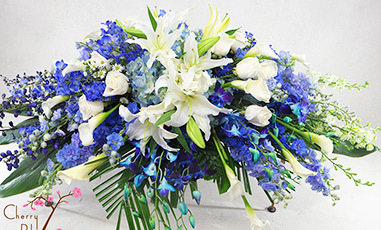 Casket Sprays are shown separately. 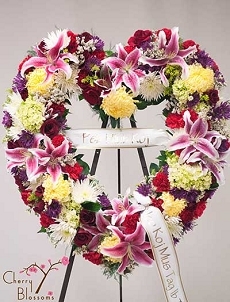 We are very close to and service the new Horan McConaty Funeral Home at 80th and Wadsworth; Rundis Funeral Home in Broomfield, CO; Crown Hill at 29th and Wadsworth in Wheatridge,CO; Olingers Funeral Homes in Thornton, Denver; and Lakewood, CO., Horan McConaty Funeral Home in Thornton and Denver; and Newcomer's Funeral Home in Lakewood CO. We can also send floral condolences to the family's home. 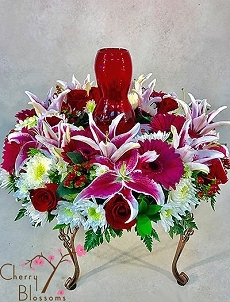 See more of our sympathy work in our on-line photo albums. 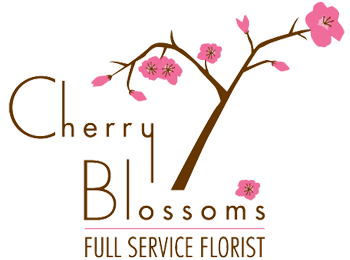 Call us to discuss all the available options.